Turn blogging into a career. I’ve accomplished the first one (score) and the last one is highly improbable. The second is doable, but difficult. Mostly because I live in two places. For instance, WordPress is hosting a Press Publish conference in my hometown of Portland–while I’m at school in New York. BlogHer happens during the summer in NYC–while I’m at home in Portland. And I’m not interested in doing cross-country weekend trips, since they’re expensive and a wildly inefficient use of time. And I know I’m not the only one who feels this way. Tons of bloggers are frustrated by their inability to attend a blogging conference, either because they can’t get off work or they can’t afford the trip or any other reason. 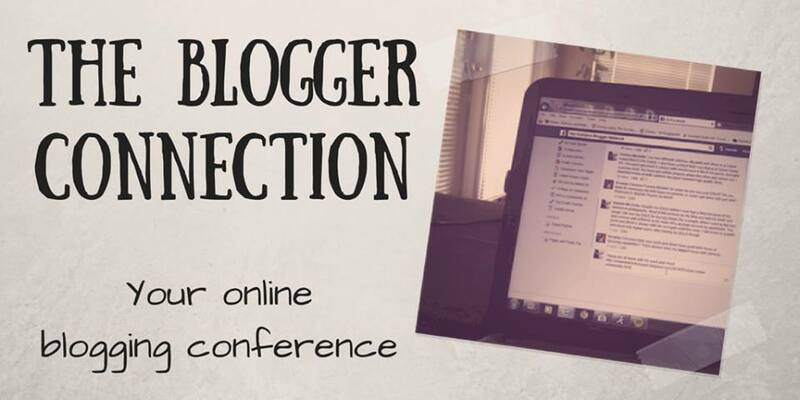 So Pam from Hodge Podge Moments thought up the idea of an online blogging conference. It’s called The Blogger Connection, and I’m on the event’s planning and promotion team. We don’t have a firm date, but we’re aiming for summertime, and we’ve collectively been working on choosing topics and developing resources to make it awesome. The idea is that it’s a much cheaper and more flexible alternative to an IRL blog conference: no plane tickets, no hotel bills, and no outrageous registration costs. We’re working to minimize our expenses while also delivering an awesome conference full of helpful teaching sessions and networking opportunities. Like the Blogger Connection Facebook page. Follow the Blogger Connection Twitter account and tweet with the hashtag #BlogCon15. Leave a comment or send me an email with any ideas about what you’d want to see during the conference, connections you have to brands who might want to sponsor the event, or areas you consider yourself an expert in–we’ll need resources and presenters! Spread the word to your blog’s audience and on your social networks! The more people interested and involved, the better. We’re really excited about The Blogger Connection and we hope you are too! Wonderful!! I’m so glad that people are excited about the idea. Absolutely! An IRL conference just isn’t in the cards for me right now. This is a great option. Me neither, given my weird living situation–but it’s a great option for everyone! :) This is all terrifically exciting. Let me know if I can help! Love this idea. Virtual conferences can be so much fun and a great learning experience. I can’t wait to see what you guys come up with. Yay I’m glad you’re into it! I’m hoping it’ll turn out really well. Very much like this idea. You know I’ll totally be there :) Great plan!